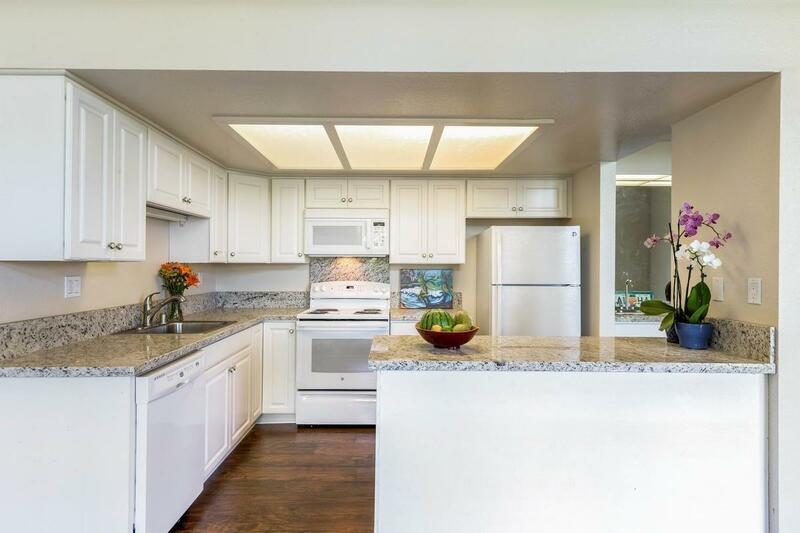 Puamana 17B has just been freshly renovated - including all new wood flooring up and down, fresh paint throughout, new appliances and new granite counters in the kitchen, at the island and the wet bar. 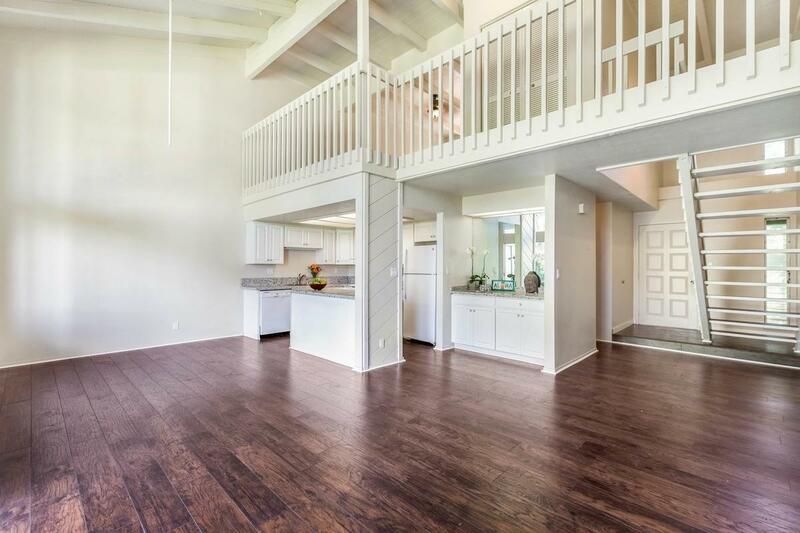 All ready and waiting for you to add your designer touches.17B, at nearly 1,300 sqft of living area, includes two bedrooms and two bathrooms - the expansive loft master ensuite with lanai and walk-in closet is spacious enough for an office area or zen den as well. The open living area with two-story floor-to-ceiling windows bathes the space in light and captures the balmy trade winds. 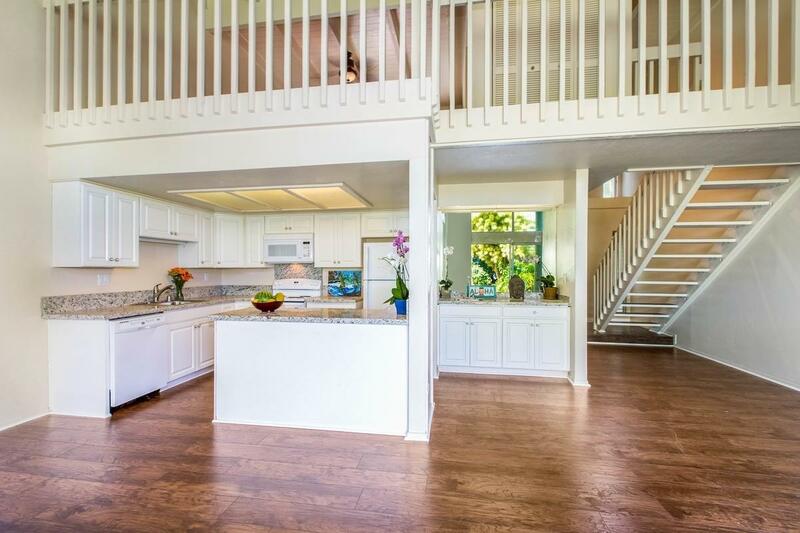 The updated kitchen with island opens to the living area to create a great space for entertaining or just hanging out. 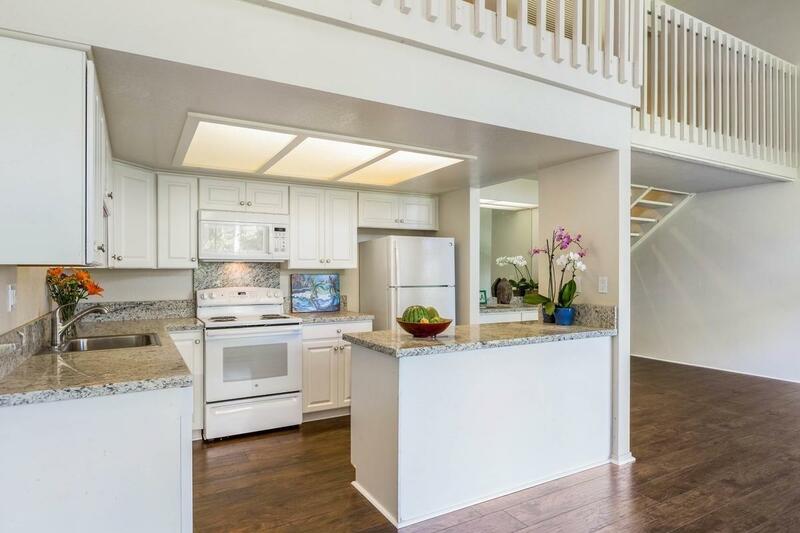 A lanai off the living area further expands the space to bring the outdoors in.Puamana Building 17 is at the northwest corner of the property which is conveniently located walking distance to the Anini Beach Trail, where Anini Beach or the Princeville Center is 10-15 minutes in either direction. The Westin Princeville Ocean Resort featuring Nanea's Restaurant, the Wailele Pool Bar and the Princeville Market borders Puamana and are all just a few minutes walk away from 17B. Puamana also has it's own relaxing pool complex nearby 17B.Puamana 17B works well as a full-time, part-time or vacation rental destination - come see for yourself.